The hardware running your One is nothing short of powerful, but the people at OnePlus can't control how developers choose to utilize that power—or rather, not utilize it. Most popular developers have removed all signs of lag from their apps, but others still have archaic lines of code that can make your shiny, new device feel like a first-generation smartphone. Developer zephiK tracked down one such instance of lag-inducing code in the scrollingcache class of Android. He noted that some developers still have this option enabled in the internal config file of their apps which causes unnecessary slow-down when scrolling. To alleviate this bottleneck, he created a smooth scrolling mod that universally disables the scrollingcache feature. The mod will be flashed through TWRP, so an unlocked bootloader is a must. 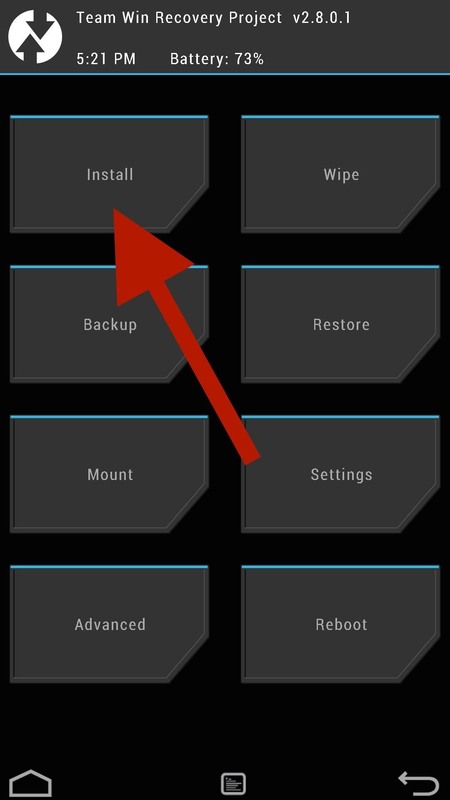 The Smooth Scrolling Mod is compatible with a few different ROMs based off of CyanogenMod 11S. These include Mahdi, crDroid, and of course, CyanogenMod 11S. While it would be great if this mod worked for every version of each ROM, that isn't the case, so be sure to download the correct flashable ZIP for your ROM. If your ROM version is not listed above, be sure to check out the original development thread for updates. 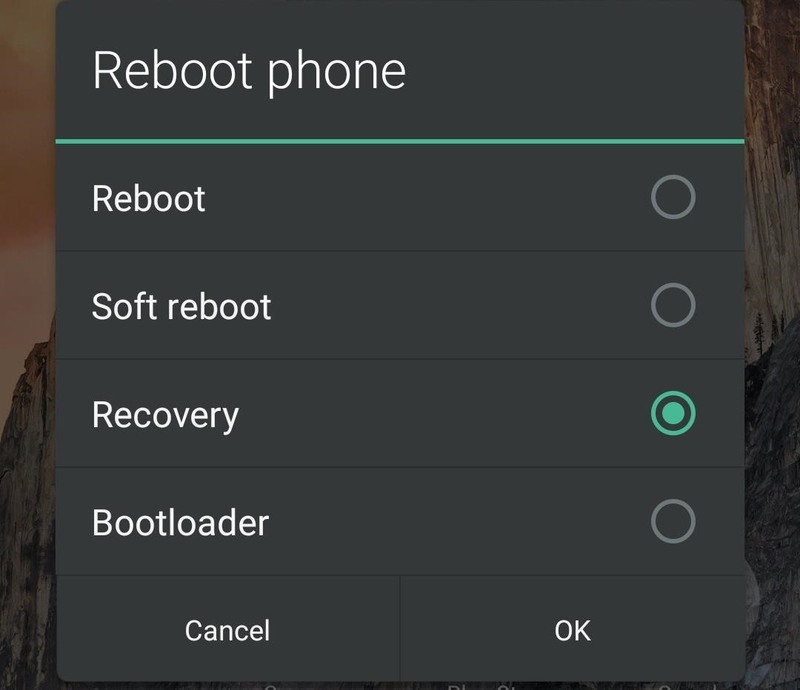 With the ZIP downloaded, reboot into TWRP using the Advanced Reboot option, then selecting Recovery from the Power Menu. 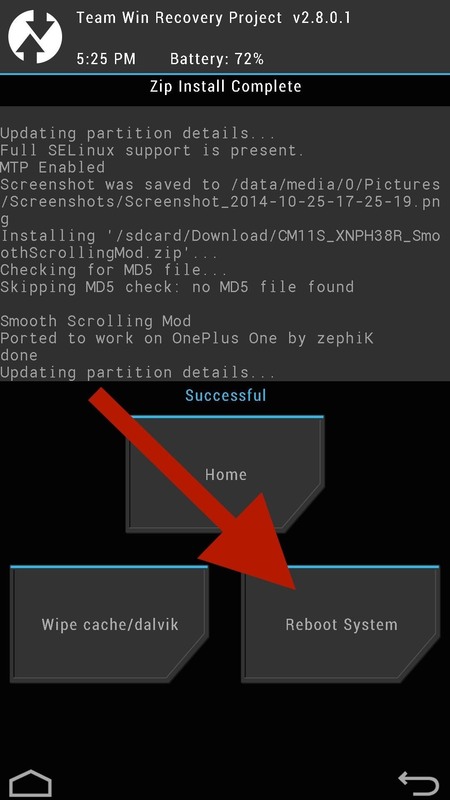 Once you are in TWRP, tap Install, then select the SmoothScrollingMod.zip file you downloaded in Step #1. Swipe to flash the file, then reboot your device. You'll now notice that all of the apps that once had that annoying lag stutter are scrolling smoothly. If you run into any issues with the mod, be sure to leave me a comment below and I'll get you straightened out.